Angel Broking Trade or trade.angelbroking.com is a web based trading platform provided by Angel Broking. It has recently replaced Angel Eye, now trade.angelbroking.com is being used by 3 lakh users on monthly basis. 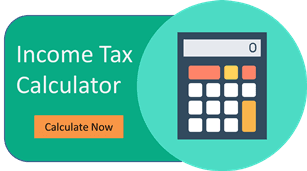 Lets have a detailed review of Angel Broking Trade & understand its features. Angel Broking also allows trading via its website or portal called Angel Trade or trade.angelbroking.com. 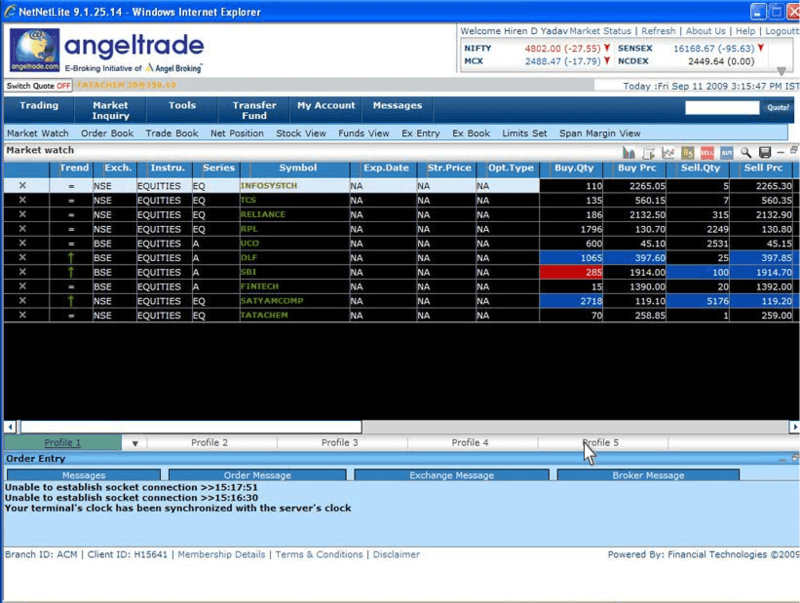 This allows a user to access the trading activity even while using any other desktop laptop without installing the application. Thus, allows the user to access through other laptop like office etc. For using this platform, one simply needs an internet connection and a desktop or laptop. The user needs to launch a browser and logon to Angel Broking’s website. Thereafter, one needs to login by providing the customer ID and password. Once logged in, the interface appearing would be similar as the interface appearing on the SpeedPro. To place an order the user can press right click on the scrip name and click on buy. Post this, the screen would ask details like whether intraday or margin or derivative, the price, the limit etc. Thereafter the order would be placed. It also lets the user to have a look at the top 5 bids for buy and sell. 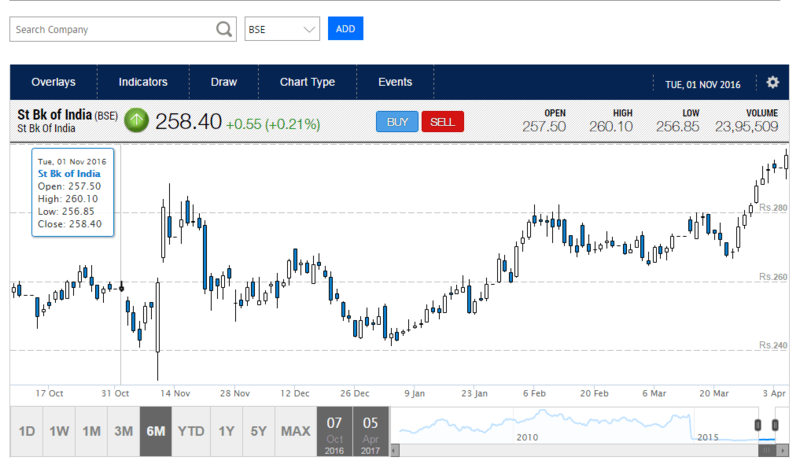 The users can also get quote details like the size of the stock, the tick price and other relevant details. The user can track portfolio, place orders, undertake analysis, access charts, customize the chart to suit one’s own preference. It also allows access to order book, the net positions, the fund statement, the margin statement. Using this platform, one can also transfer and withdraw the funds. It also allows access to the research reports published by the research team of Angel Broking. This platform facilitates the users to view the research reports. The users can also access mutual funds and bonds via this platform. The alerts and reminders as set in the SpeedPro also get popped up while accessing the website based trading platform. It also allows to get reminders via SMS and email. This platform also allows the user to manager the entire family’s account by linking all in one account. 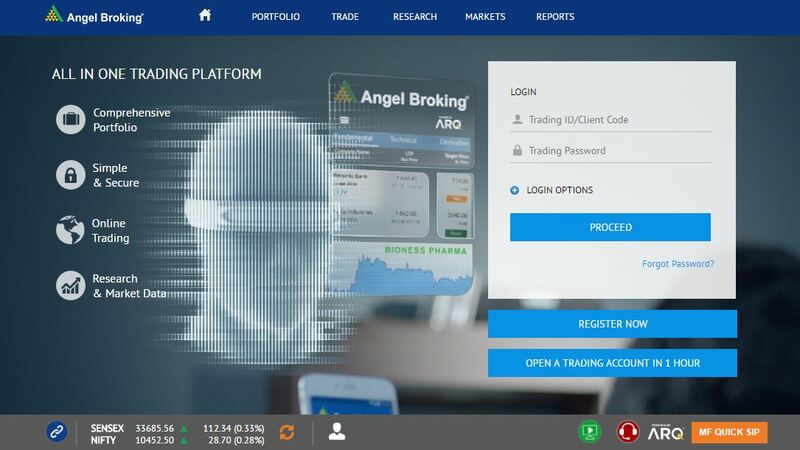 Angel Trade or Angel Broking Trade ot trade.angelbroking.com is one of the finest web based trading platform in the country. It has all the features required by any type of investor. An active trader can use it for any kind of analysis. An Investor can use it for all relevant functions. It is definitely a trading platform for every investor.